The adult moth lays eggs on or around the larval food source. The eggs hatch around 2-4 weeks later depending on temperature. The caterpillars begin feeding on the available food source immediately and form a silk-like tunnel within the food source. They do not move around and would only move if the available food source runs out. The larvae develop in 2-5months and may enter diapause (resting stage) for several months. The larvae pupate in silken cocoons and emerge 2-8 weeks later. Brown house moths only live for a short period, perhaps 1 – 4 weeks. The brown house moth is a common pest of fabrics in the home, and in museums and may be a sign of poor hygiene. It is regarded as a scavenging moth, and feeds on the fluff and detritus that accumulates beneath skirting boards, under heavy furniture etc. It is only the larvae that can cause damage. However, this could result in damage to food stocks, textiles and fabrics and they can also cause considerable damage to museum pieces and specimens. A thorough inspection is necessary to determine the source and extent of any infestation. The inspection must extend to every room in the premises including lofts and cellars. Once the source of the infestation and any harbourages are located, they should be treated with a residual insecticide. 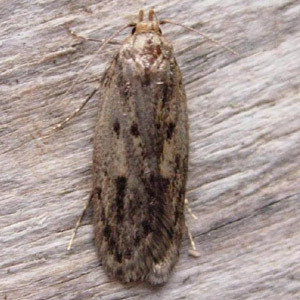 If you suspect you have a brown house moth infestation in Edinburgh, Glasgow, Aberdeen, Dundee or Perth, call GRAHAM pest control today and we could help.